It showed a result of 13 dB lower noise than the previous Thule AeroBars. So what does this mean? Well decibels are hard to explain. The scale is logarithmic. Every three decibels means double the sound energy. So, 13 dB equates to half of half of half of half. 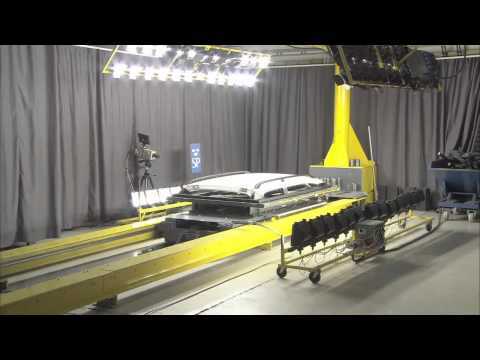 Therefore it produces only 6% of the sound generated from Thule’s original aerobars. Basically this means that in use they are virtually silent! The WingBar's design registered TrailEdge uses sharp rounded corners, much like many current popular fuel-efficient vehicles. This promote clean air release behind the bar, helping to reduce aerodynamic drag and to minimise any adverse effect on fuel consumption. The safest and most silent roof rack is now in low profile fit. Thule WingBar Edge has an ultra low profile that fits closer to the car roof, making your car look sleeker and above all more aerodynamic. The WingBar Edge is the ideal solution if you keep a pair of roof bars permanently fitted to your car. By using aeronautical technology and wind tunnel testing, noise levels and fuel efficiency are at the best levels on the market. 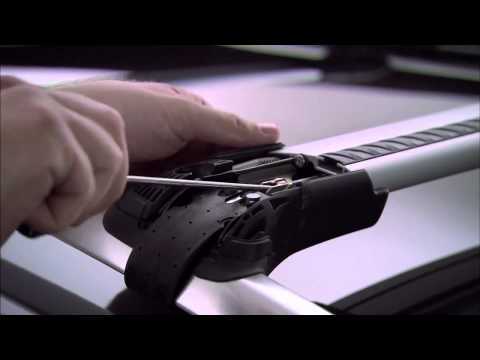 To identify the correct parts needed for your vehicle it is necessary to go to our Thule Roof Bar Guide. 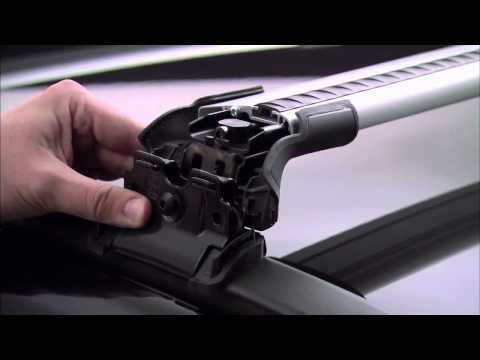 Thule Wing bars have an integrated T-track that allows you to use the full width of the roof bars for fitting all kinds of load accessories. The ingenious T-Track feature is especially useful when carrying several bikes or a roof box and bikes on the roof. When you change load accessories, e.g. from bike carrier to ski carrier, simply slide in and attach the new accessory. You can use the full length of the wing bar, to enable several accessories to be fitted on the car roof. To place an on line order for wing bars please go to the Thule Roof Bar Guide and submit your vehicle details or phone our sales department on 01732 884408. Low profile, close fit to the roof creates a stunning look. Universal fit by the use of telescopic feet (50mm adjustment per side). Double molded plastic end caps for best appearance and easy fitting. Uses aero technology to minimize sound and fuel consumption. Part numbers available for roof railings are 9581, 9582, 9583, 9584 and 9585. Part numbers available for fixpoints and solid integrated roof railings are 9591, 9592, 9593, 9594 and 9595. How many bikes can I fit on my roof? Which roof box is suitable for my vehicle?